3 ingredient pulled pork tenderloin - Dinner with only three ingredients? Yep! All you need is pork tenderloins, Coke, and BBQ sauce and you can have a delicious dinner without any fuss! 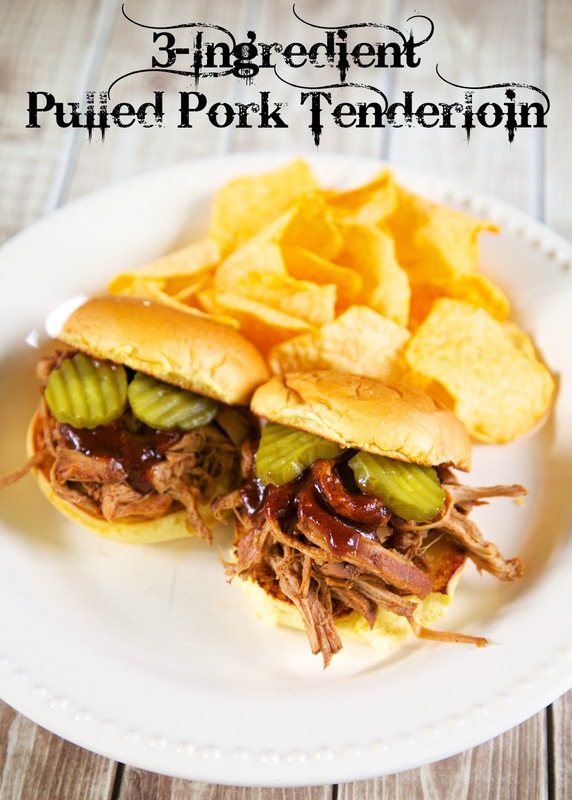 The pork cooks all day in the slow cooker and is ready to shred when you get home from work! SO easy! YUM!!! Dinner with only three ingredients? Yep! All you need is pork tenderloins, Coke, and BBQ sauce and you can have a delicious dinner without any fuss! The pork cooks all day in the slow cooker and is ready to shred when you get home from work. We served the pork on slider buns and topped it with a little more BBQ sauce. I used my Homemade BBQ Sauce recipe. It is my favorite BBQ sauce. You should try it! You could also put the pork on top of a baked potato or salad. YUM! This recipe also makes a great freezer meal! Put pork tenderloins, coke and bbq sauce in a gallon size ziplock and freeze. Place frozen mixture in the slow cooker and let it do its thing. You can't get any easier than that! Place all ingredients in slow cooker and cook on LOW for 8 hours. Shred pork with two forks. Serve with additional BBQ sauce, if desired. Freezer Meal: place all ingredients in a gallon size ziplock bag and freeze. To prepare, place contents of freezer bag in slow cooker and cook on LOW 8-10 hours. Shred pork with two forks. Serve with additional BBQ sauce, if desired. That last shot makes me want one now. I'd never thought of using tenderloin to pull. 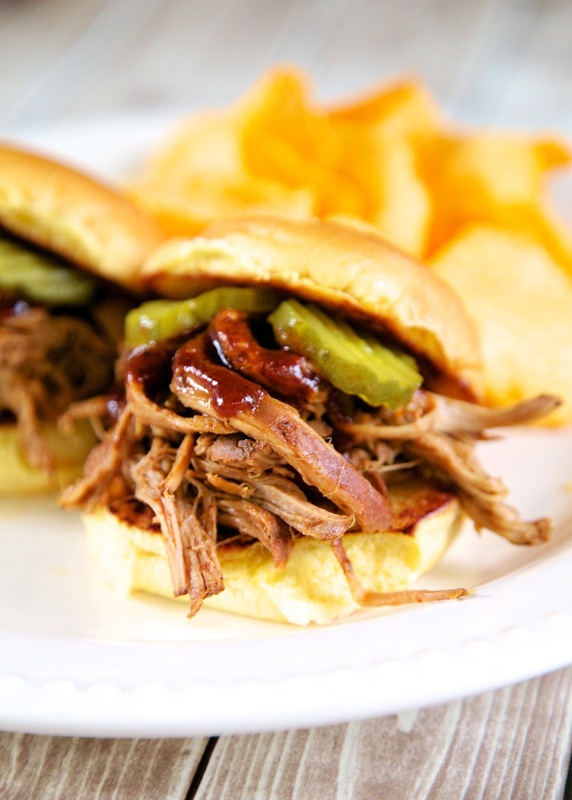 Yumm - love these quick and easy crock pot bbq recipes! FANTÁSTICA IDEA Y FANTÁSTICA SALSA!!! I posted this once, but I don't think it worked, so forgive me if this is a double post. This sounds delicious! I have a question, does the pork tenderloin taste better than other cuts of pork that are usually used for pulled pork? I just wonder since the tenderloin is a little expensive. Thanks for your help. I don't drink soda of any kind so what can I use as a substitute?